Karashika: Evil Girlfriend. ~ CK Jacob: Nigerian Fiction And Lifestyle Blog. A young woman, Michelle Carter was found guilty by a jugde for involuntary manslaughter. She sent her boyfriend dozens of text messages persuading him to commit suicide and she ptomised to look after his family when he is gone. The Judge Lawrence Moniz announced his decision on Friday morning in Bristol Juvenile Court, which was greeted with sobs from the courtroom. She is charged in the suicide of her 18-year-old boyfriend, Conrad Roy III. Conrad Roy was found dead of carbon monoxide poisoning inside his truck in 2014. 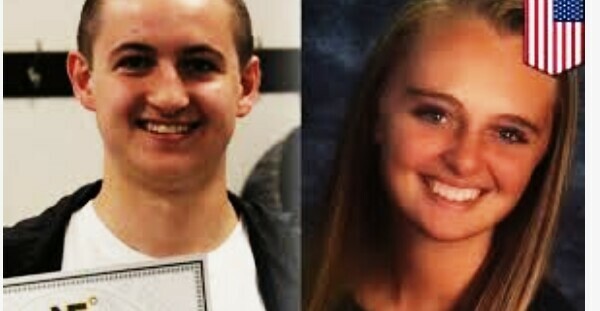 Prosecutors say Michelle Carter sent her boyfriend, Conrad Roy III, dozens of text messages urging him to take his own life. Michelle's lawyer argues that she tried repeatedly to talk him out of it and only began to support the plan when it became clear he would not change his mind. Excerpts from their text exchanges. 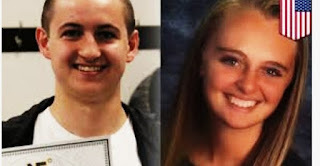 Prosecutors said the then-17-year-old Carter relentlessly badgered Roy through texts to act on his suicidal thoughts and she told Roy to "get back in" his truck after he became frightened and got out. Her lawyer defended her by saying she tried to talk Roy out of suicide for months, but he was determined to kill himself. Carter cried as Judge Moniz detailed her conduct in explaining how he reached his verdict, but she remained stoic when it was formally pronounced. "This court finds that instructing Mr. Roy to 'get back in' the truck constitutes wanton and reckless conduct by Ms Carter," the judge said. He said Carter had a duty to call someone for help when she knew Roy was attempting suicide. Yet she did not call the police or Roy's family, he noted. The judge ruled that Carter, now 20, can remain free on bail but ordered her not to make any contact with Roy's family. She is also forbidden from leaving the state. She is likely to face 20 years in prison. A sentencing hearing has been scheduled for August 3. A sad tale indeed. Its important to talk about depression in our society and its after effects. Greetings!